By Nancy Young in Photography. Updated on March 30, 2018 . 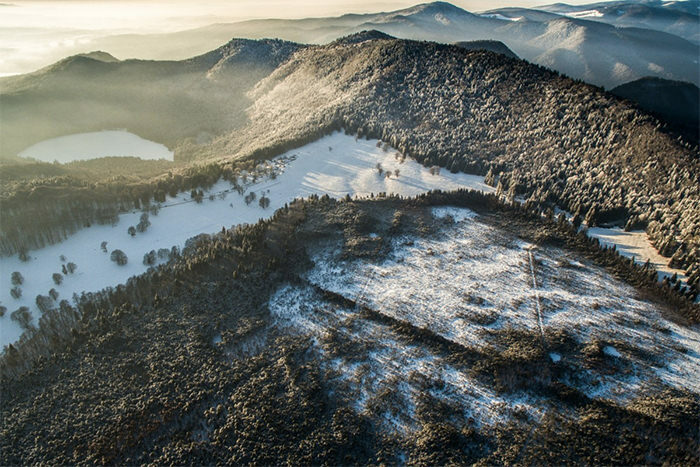 Drones are perhaps the most innovative technologies of our times and the most useful tools for photographers. With drones, you can shoot aerial videos or take aerial photographs. 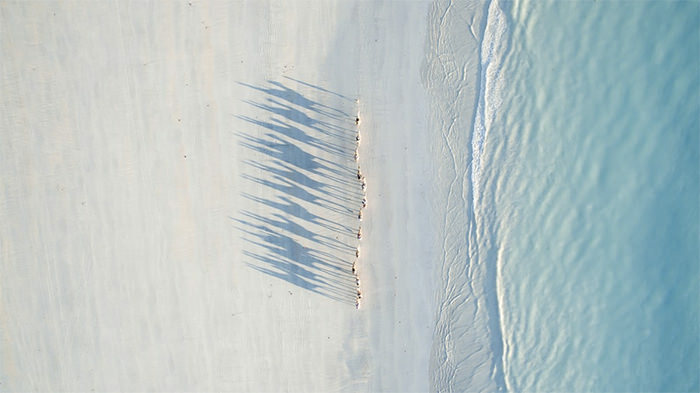 Such kind of photos look totally out of the world, as it is hard to imagine how the places really look like from the sky. 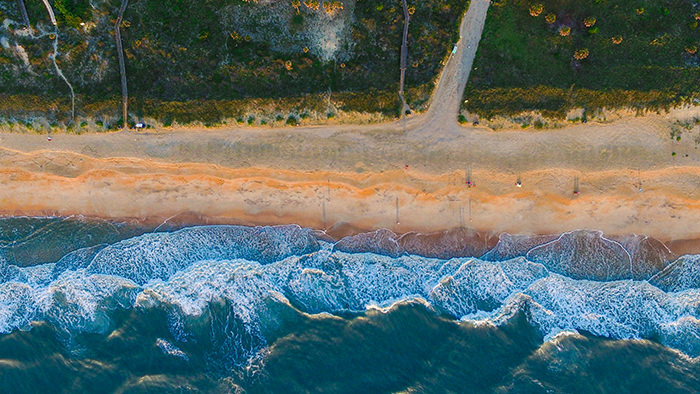 Some of the best examples of drone photography can be found on websites dedicated to this type of photographs, like SkyPixel and Dronestagr. They arrange contests attracting a number of entries. 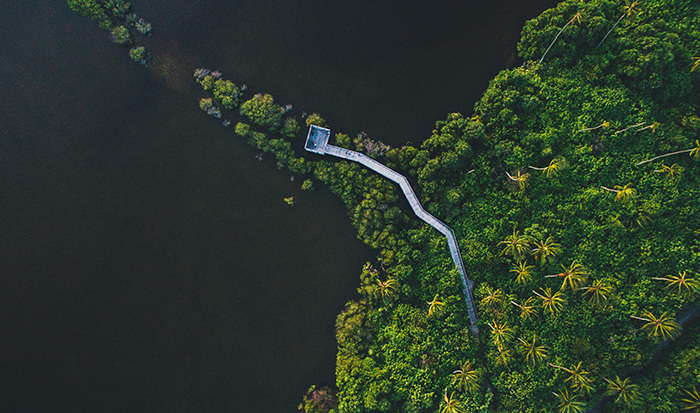 In the following we are showcasing some of the best drone photos in the world. Just scroll down and enjoy. 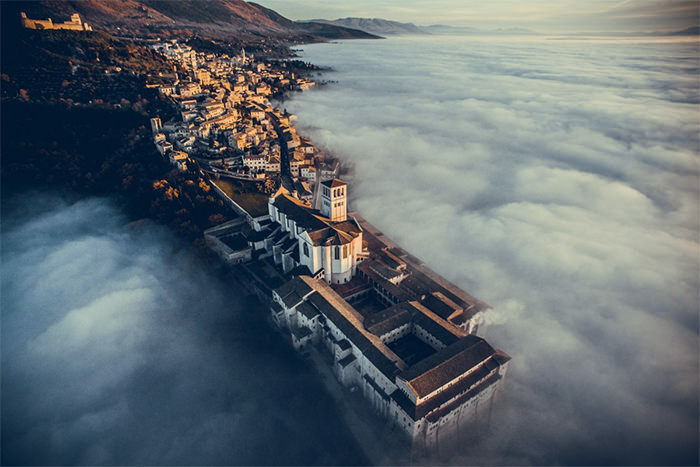 “The wonderful Basilica of Saint Francis of Assisi, at sunset with the city immersed in the fog.” This stunning photo was taken using a drone and it seems like the city drown in the fluffy clouds. Photo by Fcattuto. 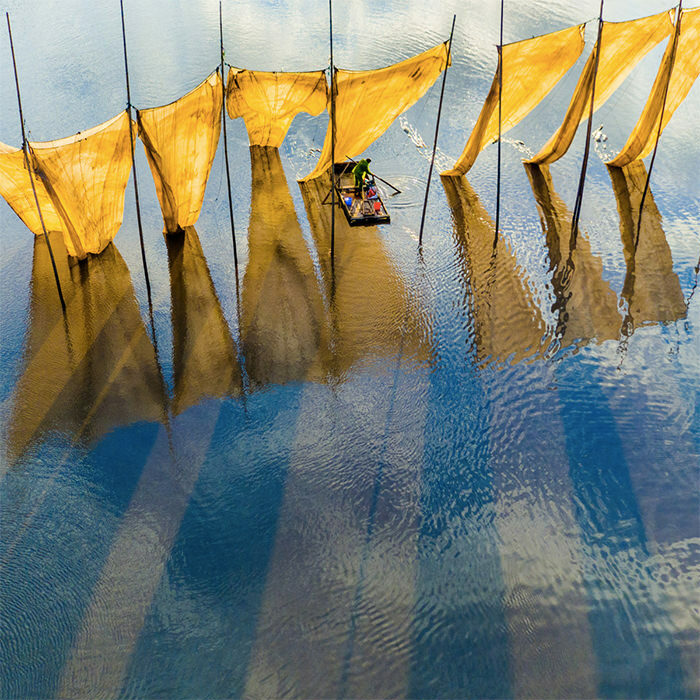 Fishermen close the net. The networks on this photo look like sails of sunken ships. Bright colors of this photo are just amazing! Photo by Ã©ÂÂÃ¦ÂÂ. “Cable beach caravan of camels at sunset.” The colors on this photo seems washed out, and the water is so pure clean. Photo by Todd Kennedy. 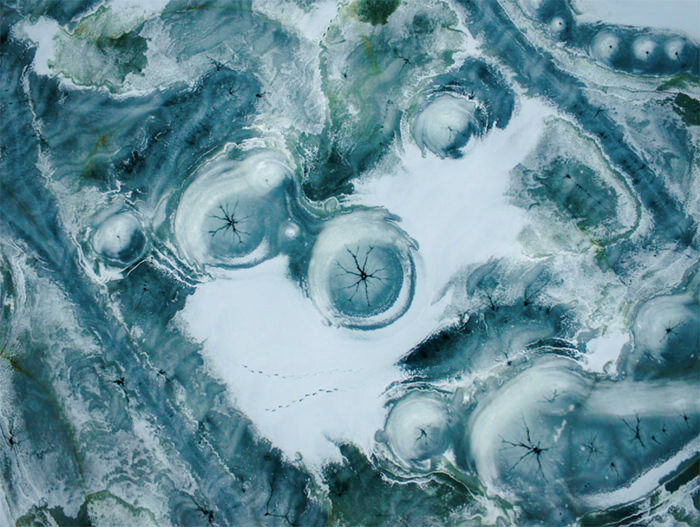 The river goes static in the winter, and the ice bursts forming radial cracks In the northeast of China. Photo by Canloker. 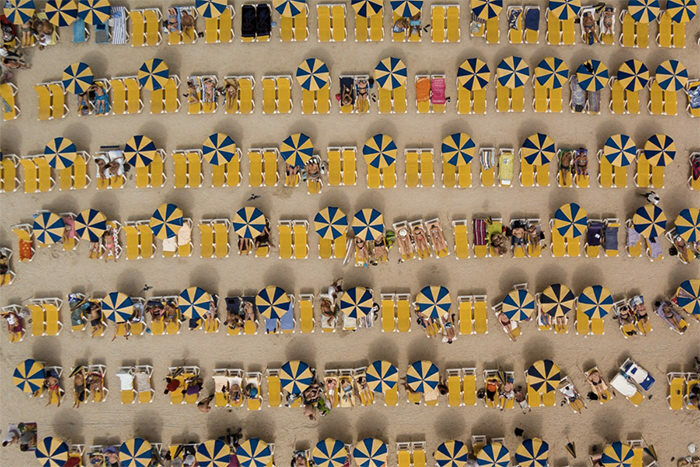 “Summer camp in Gran Canaria, Spain on the finest playa de Amadores.” These bright loungers and umbrellas return us mentally on hot summer days by the sea. The objects of the image looks almost symmetrical. Photo by Karolis Janulis. 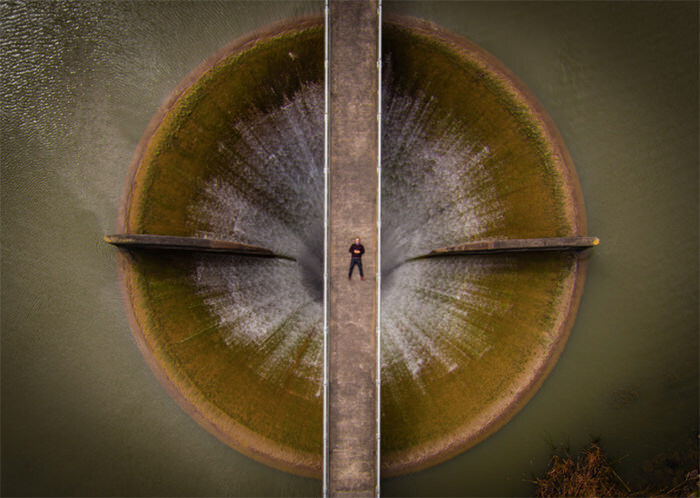 “A shot taken while filming at a local dam. Whilst filming I decided this was a great spot to take a selfie, Parked in GPS I downed controller, Walked into frame and laid down.” This photo looks so symmetrical and correct. It shows the majesty of the dam in comparison with a tiny person, in this case, a photographer. Photo by Dixonltd. 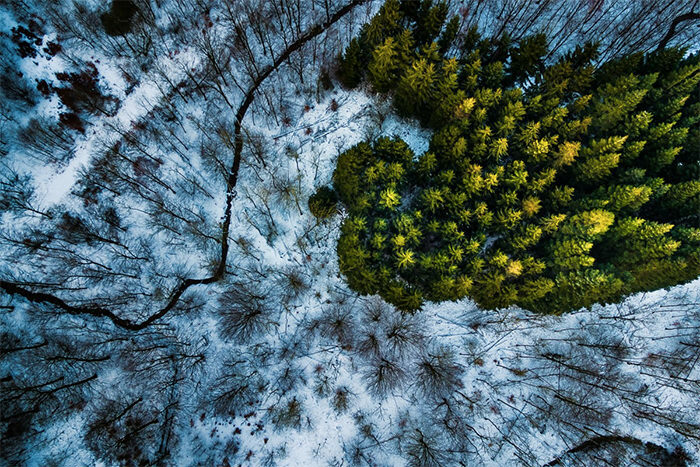 “An image from the series Ã¢ÂÂThe EmeraldÃ¢ÂÂ taken in Kalbyris forest outside Naestved Denmark.” Green pines look like an island of life in the midst of a cold snowy winter. Photo by mbernholdt. This photo was taken at Atlantic City, United States. 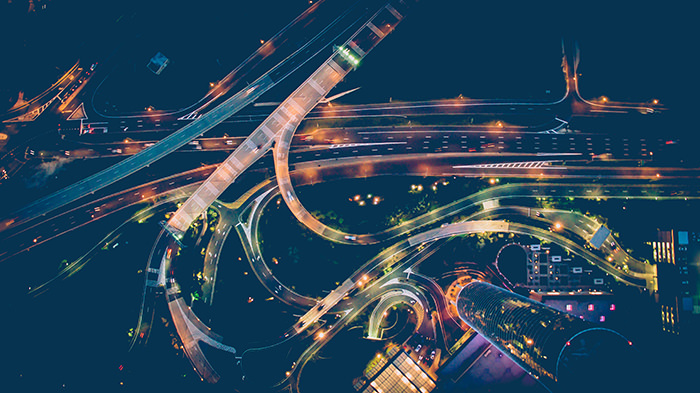 These vivid street lights and other light sources look breathtaking from the top. Photo by Martin Ezequiel Sanchez. "Flash back Friday to when I was in Fort Lauderdale! I was blown away that the photo I posted a month ago was featured over 60 times!" 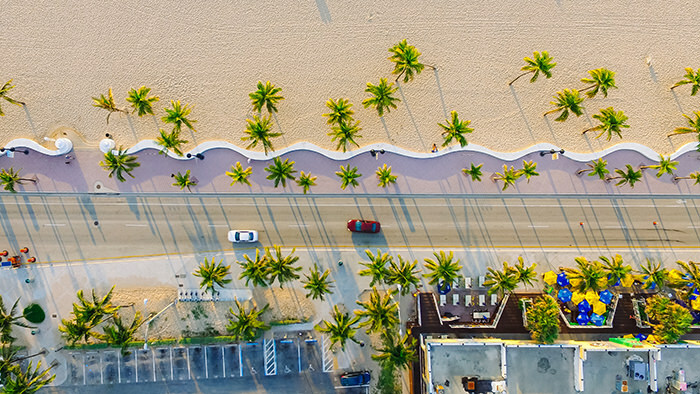 The perfectly clear lines of the promenade separating the pavement from the sand made this photo, and the green palms are a bright accent. Photo by Lance Asper. Autumn in the forest is so bright and colorful! 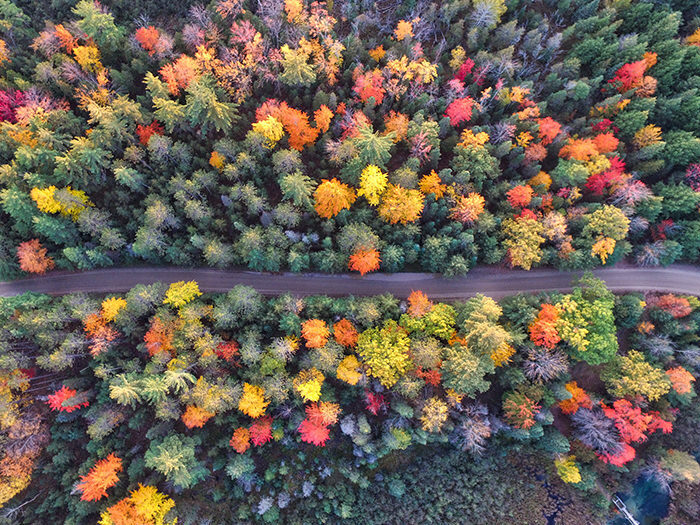 You can overlook it if you walk through the forest on the ground, but from a bird’s-eye view everything is perfectly visible. Taken at Grayling, Michigan, United States. Photo by Aaron Burden. 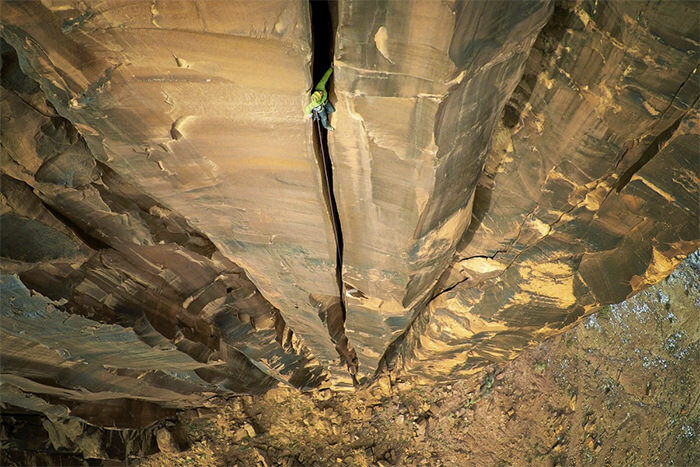 “Moab rock climbing filmed from above.” It looks so high that I’m scared to look down even on the photo. It looks so epic because of the human, everyone imagines himself on this rock. Photo by Maxseigal. 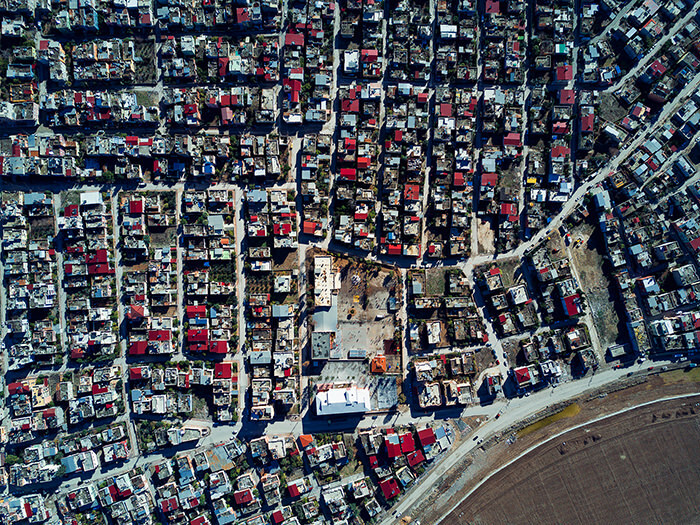 Just a residential area with red roofs in Adana. In this photo, these residential quarters seem endless. Taken at Adana, Turkey. Photo by Hulisi KayacÃÂ±. 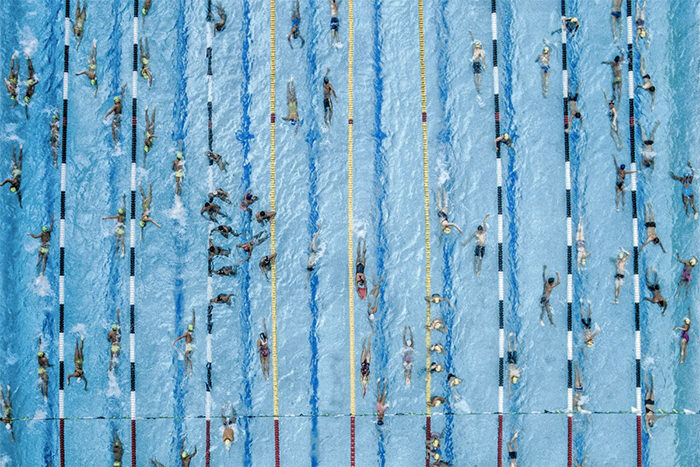 “A group of young swimmers are preparing for competition on a cold morning.” This shot has so much action in it! The color of the water is very pleasant to the eyes. Photo by losmanesdeldrone. 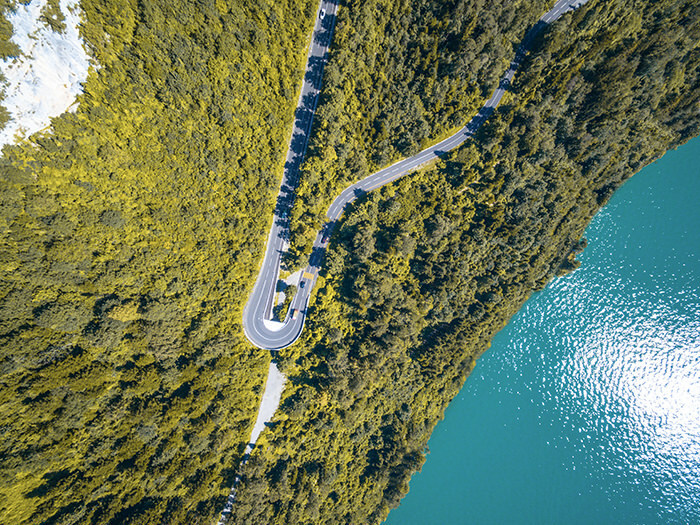 Just a beautiful curve of the road, the riot of the green forest and the azure clear water, what can be better? Taken at Morschach, Switzerland. Photo by Martin Sattler. 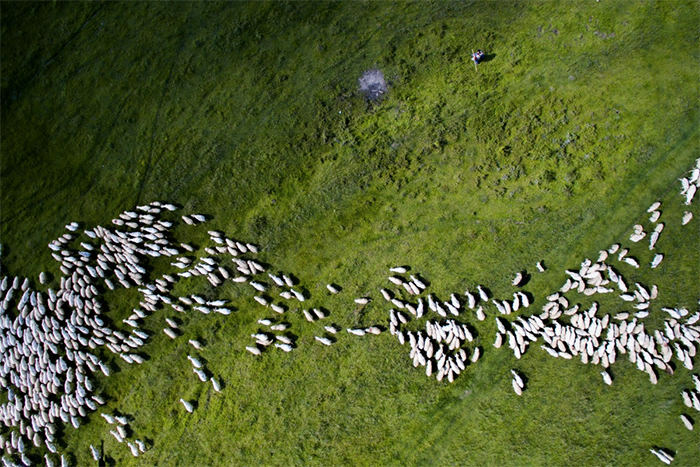 “Swarm of sheep.” This image looks like a shot from a movie. White sheep on the pure green grass. This is how most of people imagine Ireland, is not it? Photo by Szabolcs Ignacz. This photo shows the power of the ocean. Fantastic blue water and orange sand, almost like a paradise on Earth. Taken at Florida. Photo by Lance Asper. Such a moody picture of Maldives with bright green palms. People look so tiny here and the nature is so huge around. Taken at Addu City, South Province, Maldives. Photo by Afrah. 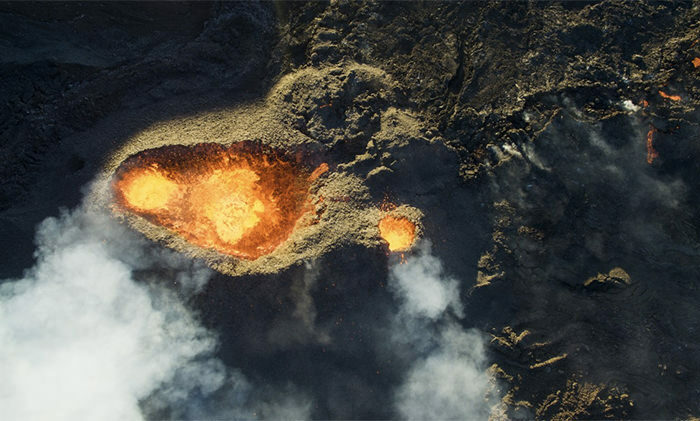 “The first aerial view above an erupting volcano in Reunion Island.” And right from the paradise Maldives we are transported to the mouth of a burning volcano. Photo by Jonathan Payet. 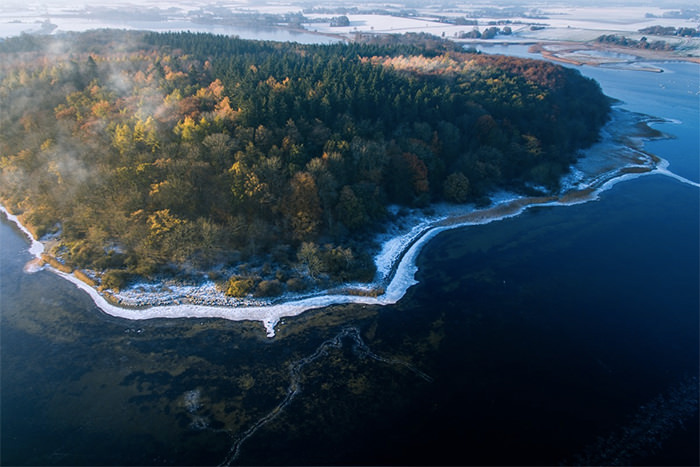 “The steaming cold morning forent of Boserup peninsula.” The photo shows how the steam comes out of the warm forest on this cold day. It looks mysterious and magic. Photo by mbernholdt. Taken in Romania, this shot looks like a scene from Game of Thrones. Winter is coming!. Photo by thedon.